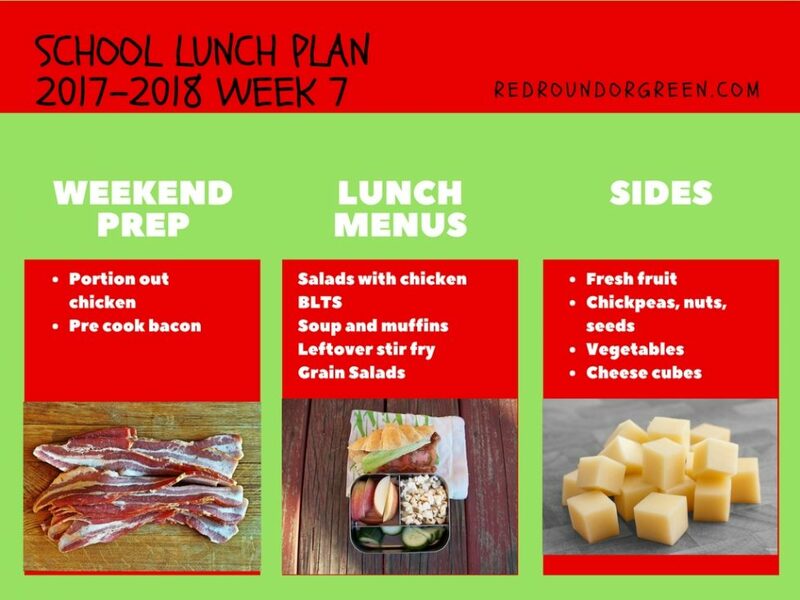 With a dinner plan that doesn’t necessarily lend itself effortlessly to quick packing of leftovers for school lunches, this week is more about reinvention of ingredients than we’ve done recently. To come up with the lunch menus, I had to look closely at what I’ll have on hand for cooking our dinners, and then think of ways to make those ingredients into great, kid-friendly lunchboxes without too much extra work or expense. I’ll borrow a few slices of bacon from the package for Monday’s Amatriciana, cook them, and stash them in the fridge for Tuesday morning. I’ll set aside thermoses during dinner prep on Tuesday and Wednesday, so we can immediately portion out leftovers for lunches. On Thursday night, I’ll make extra couscous at dinnertime so we’re sure to have enough for Friday morning.